Wake up to the aroma of freshly brewed coffee! 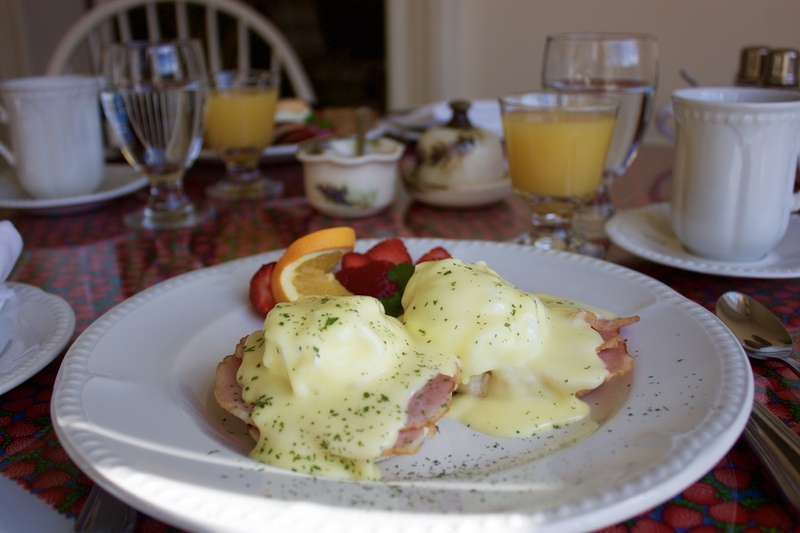 Come relax in our sunroom and enjoy a full gourmet breakfast. The Annapolis Valley offers an abundance of fresh ingredients and we are fortunate to be able to offer the majority of them in our menu. Delicious vegetarian and gluten free options are available upon request. Let us know your dietary needs so we may make your experience an even more enjoyable one. 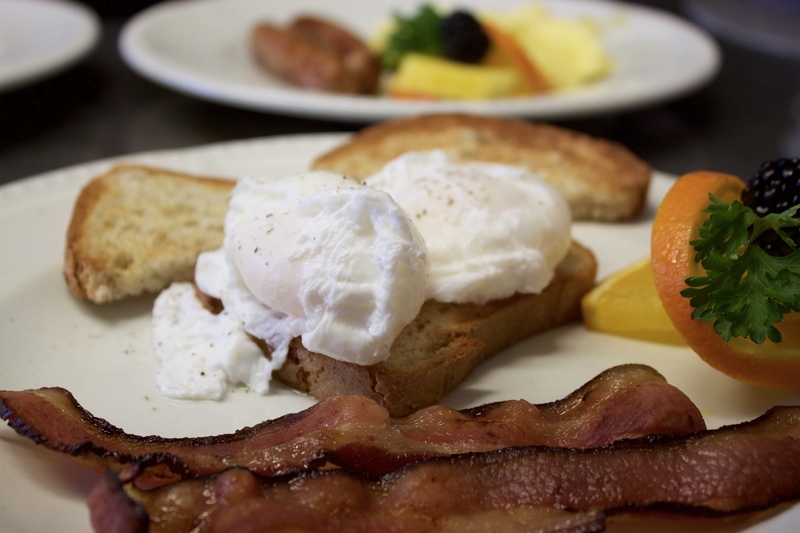 Two farm fresh eggs, any style, served with your choice of Nova Scotia bacon or pork sausage links and multigrain toast. 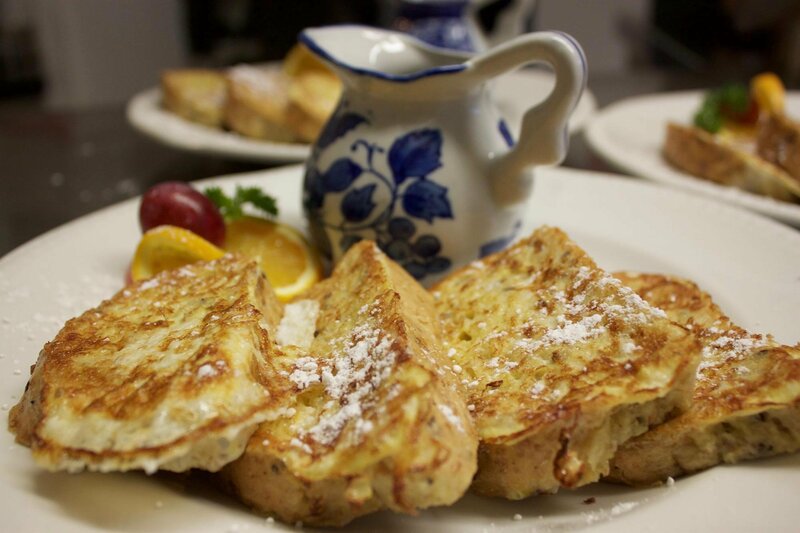 Whole wheat toast dusted with powdered sugar served with your choice of Nova Scotia maple syrup or homemade blueberry syrup. A medley of potato hash with peppers, onions and sausage topped with melted cheese and two farm fresh eggs, any style, served in a cast iron skillet with multigrain toast. Fluffy medallion pancakes resting on drizzled chocolate topped with bananas and icing sugar. 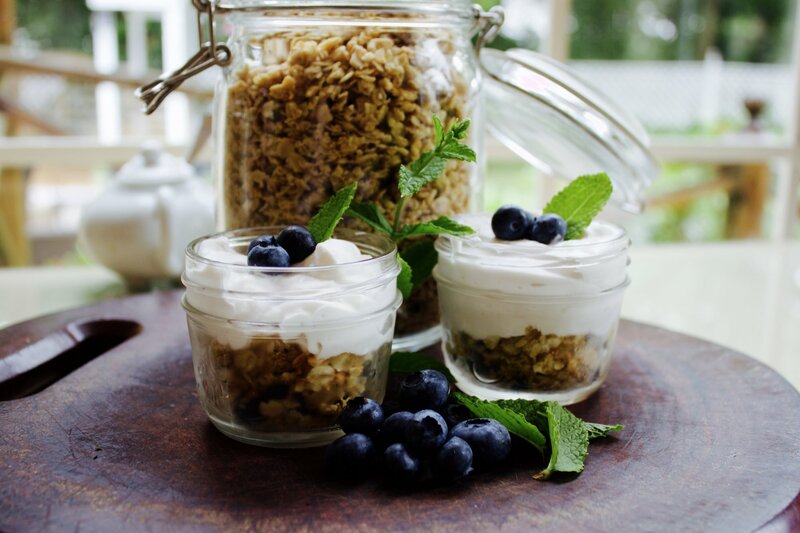 A selection of cold cereals or maple granola served with fresh bananas. Toasted multigrain or plain bagel served with plain cream cheese or peanut butter. Your choice of Apple, Orange, Tomato or Cranberry juice are available. All of our breakfasts are served with freshly whipped butter and homemade strawberry jam.